The B&M and the Maine Central had common management until 1952, and shared equipment and locomotives across several of their interchange points. I'm not trying for complete coverage here, but as I encounter useful material, I will put it on line. Maine Central Steam Engines - Notes on detailing and painting. 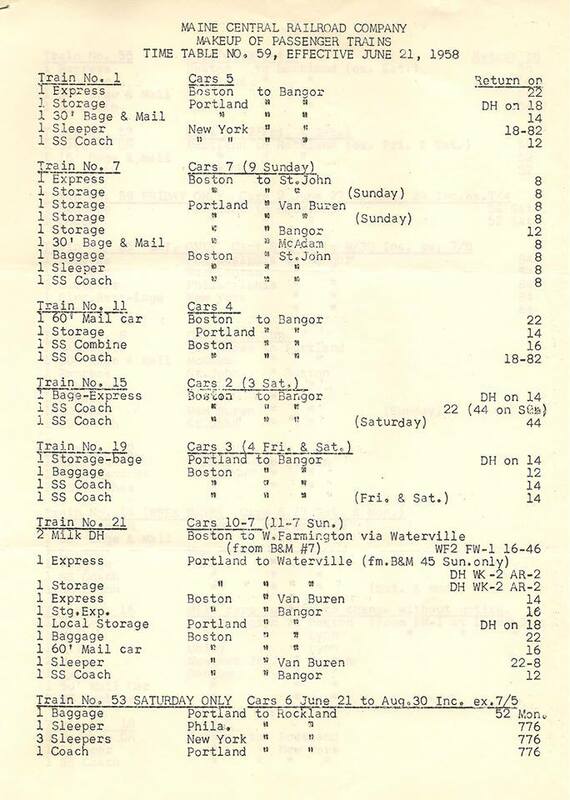 Maine Central Passenger Roster - Roster info only, so far. 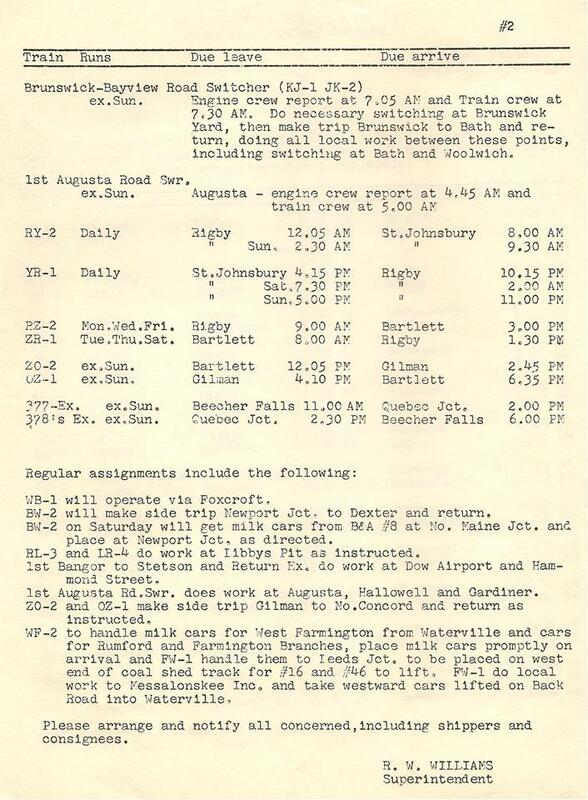 Extant Maine Central Passenger Cars - Research by George O'Keefe Jr. The 470 Club is named after the MEC 4-6-2 preserved for many years in Waterville. 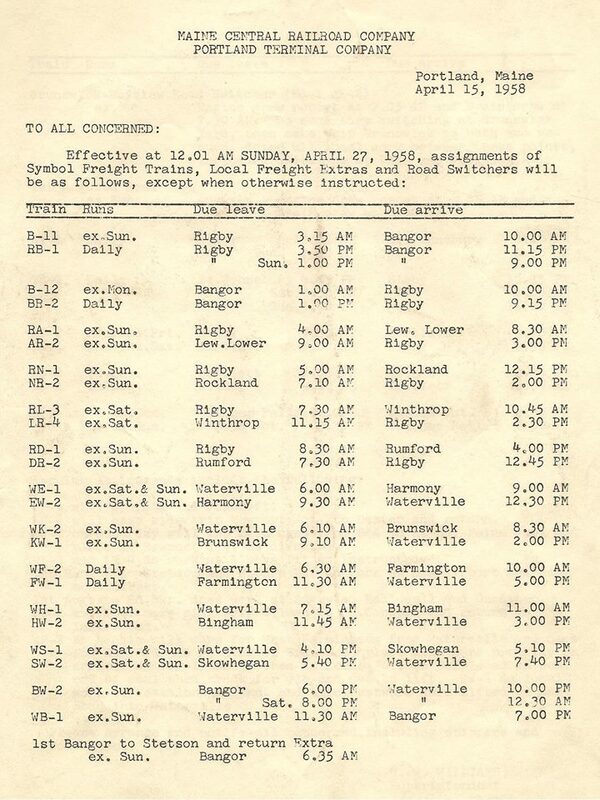 They cover all Maine railroading, but they are the closest thing to an MEC Historical Society at this time. Wikipedia's Maine Central Railroad Co. page. Image scanned by George Ford and displayed here with his permission.